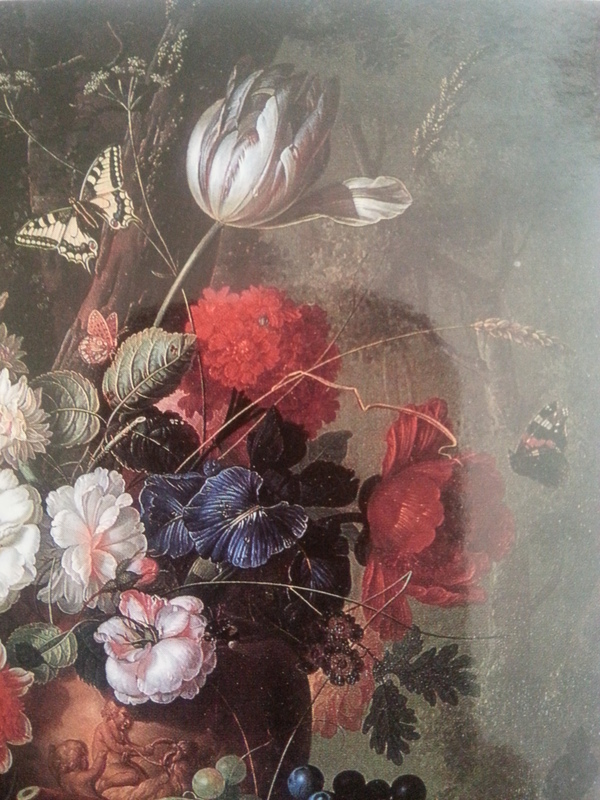 Jumping off from yesterday’s post, I have uploaded a pretty terrible photo of a section of a postcard of an eighteenth-century Dutch floral painting by Jan van OS, held in the Art Gallery of South Australia collection. It’s taped to my studio wall and this small section of the original painting prompted my study in graphite on paper, enlarged to about 55 x 79 cm (outside the frame). (Another terrible photograph!) At the risk of pointing out the obvious, this piece was produced during multiple sessions and required focused concentration over lengthy time periods. I also made my own changes and interpreted areas which were difficult to analyse on a smaller scale. Building up the image in graphite drew on a completely different set of techniques, and provided a completely different mental space to work and meditate through. 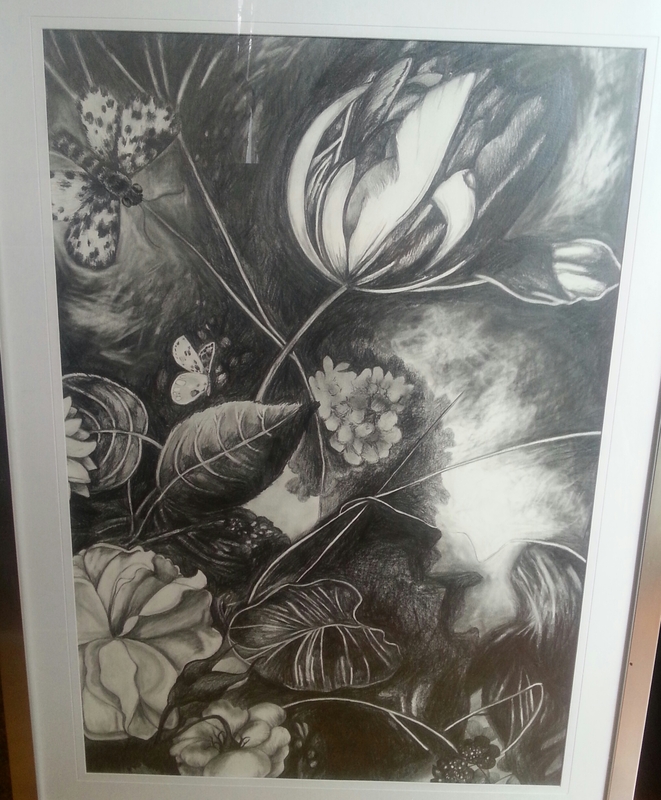 This entry was posted in Art, Draw, Eighteenth Century and tagged artist, drawing, eighteenth century. Bookmark the permalink.